Advantage Home Exteriors provides efficient installation services with sliding and exterior door replacements available in the Abingdon, MD area. Our trusted name in the business has awarded us with accreditations from Angie's List, BBB, and Home Advisor, with A+ and/or 5-star ratings from satisfied customers all over Maryland. Contact us today for a free estimate on your exterior or sliding door needs. We have a wide selection of new sliding and exterior door styles for Abingdon, Maryland homeowners to choose from. With the increase of climate changes in the area, insulation has become important to keep your electric bills low and your home energy efficient. That's why all of the products we use are energy star rated. Please watch a video for more information on one of the most popular replacement doors we install: Embarq™. Abingdon is an unincorporated community in Harford County, Maryland, United States. 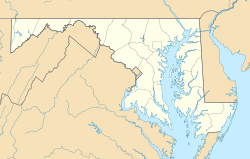 It lies 25 miles northeast of Baltimore on Maryland Route 7, near the Bush River, between Exits 77 (MD 24) and 80 (MD 543) of Interstate 95. (Wikipedia. Abingdon is one of the few places located directly on the coast of Bush River, making it susceptible to rapid temperature changes. When rain poors and snow falls, you don't just want any door installation- you want a trusted brand in the business to provide an insulated door with efficient sealing materials that will keep your home energy efficient and stop water leaks before they intrude your home.